Therapeutic serum for hair BioWoman - restores damaged and lifeless hair, makes them soft and shiny, protects hair from the effects of a hair dryer, curling and curling. Lecithin gives the hair healthy, shiny and silky, improves the structure of dry hair, regenerates them. Hops strengthens hair follicles and improves the structure of hair, cleans the scalp from dandruff and excess fat, increases blood circulation. The composition also has a creamy serum olive oil, collagen, vitamins E and B5. 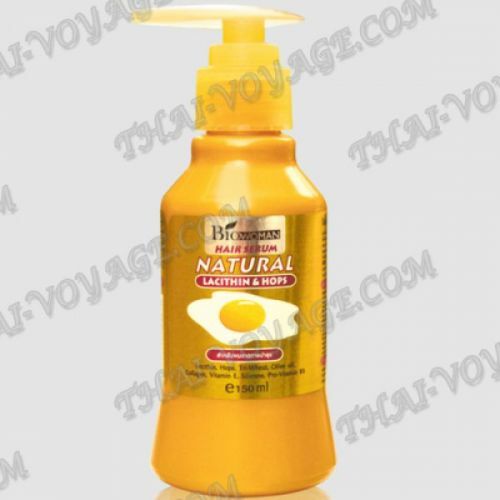 Application: Apply the serum on your hair, do not rinse. For best results we recommend to use together with the mask BioWoman hair.